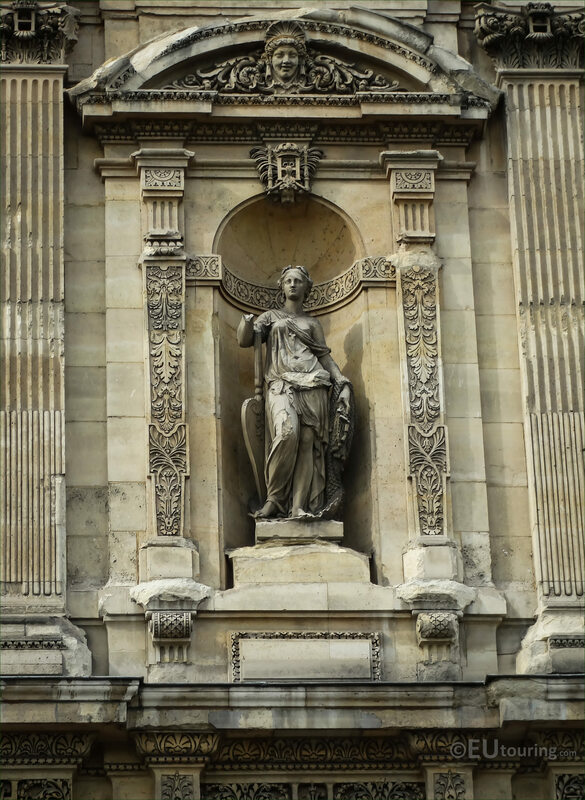 This time while we were looking at the Grande Galerie Orientale wing of the Musee du Louvre, we took these high definition photos showing the statue called La Peche Fluviale, which was sculpted by Jean Jules Allasseur. 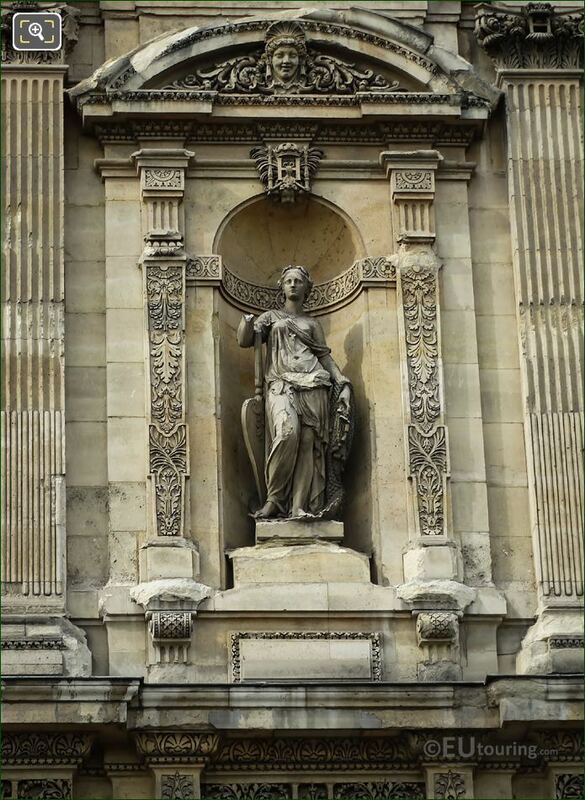 La Peche Fluviale translates in English to Inland Fishing, and this stone statue, which is located within an ornate niche on the Louvre facade was put in place in 1857, and this can be seen from the River Seine side of the former Palais du Louvre. 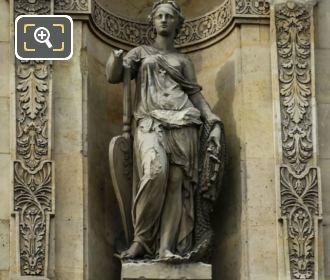 So in this photo you can see the amount of detail that went into sculpting this statue, which was produced by Jean Jules Allasseur who was born in Paris in 1818. 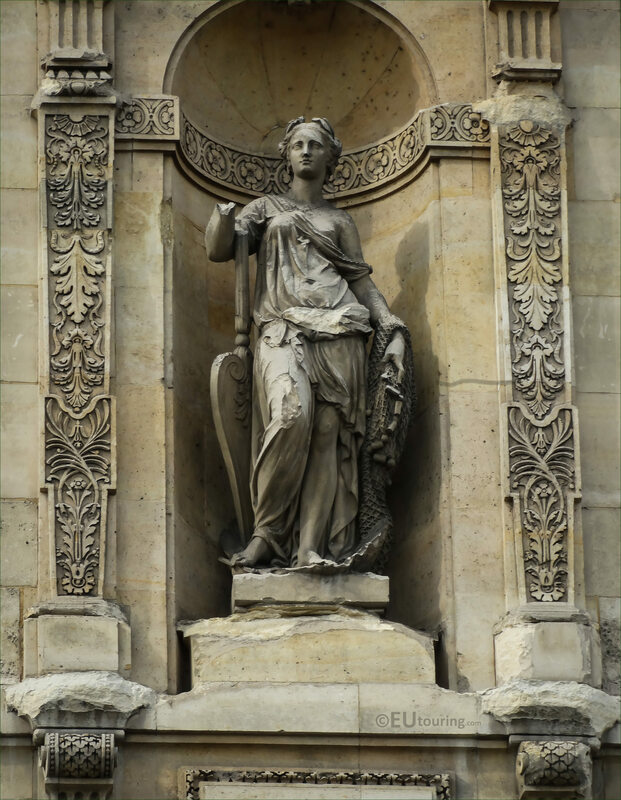 And having studied at the Ecole des Beaux Arts, which translates in English to the School of Fine Arts, he made his debut at the Paris Salon of 1846, and the same year that La Peche Fluviale was sculpted, Jean Jules Allaseur also executed other statues for the Palais du Louvre.